We sure feel sorry for turkeys at Thanksgiving! 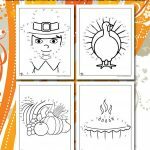 Keep these turkeys alive by coloring these Thanksgiving coloring pages made just for you. 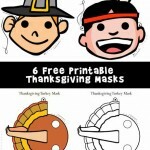 Print these pages to keep children busy while dinner is cooking or as a fun activity for the long 3 day weekend. 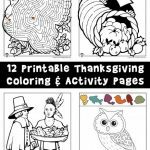 These coloring pages are some of the very first pages ever on Woo! Jr, which was Animal Jr. at the time. We’ve come a long way since then!